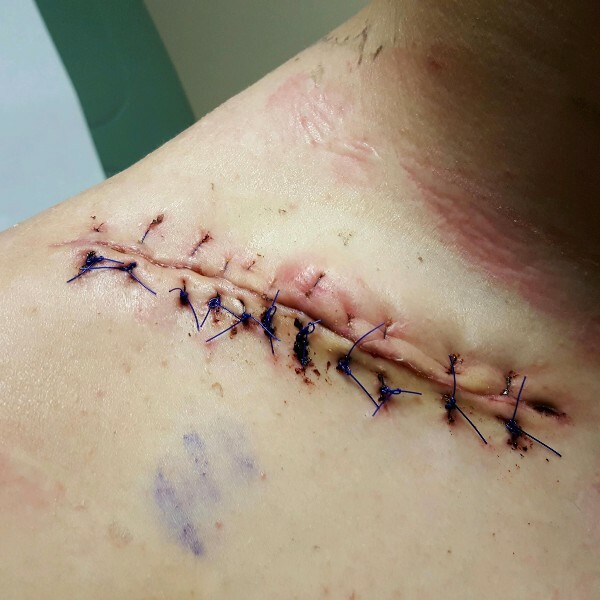 I had surgery for a broken collarbone that happened at the Oakland race. I got a really bad bacteria infection causing a second surgery and now having to be on an IV antibiotic for six weeks. I'm still under the IV antibiotics for another 2 weeks. 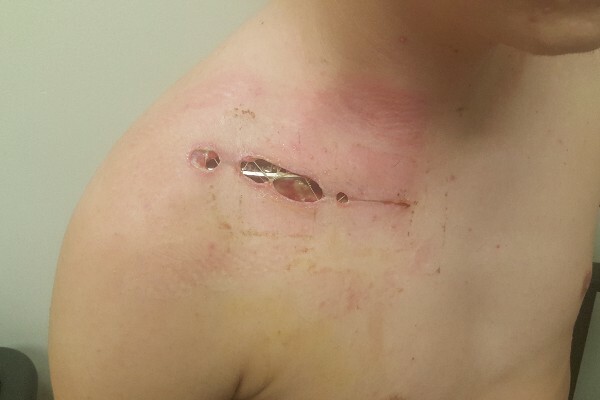 This has been one of the worst injuries I've had and it's just a collarbone. I hope to get back on the bike in the next 10 weeks. If you can help out with any donations that would be much appreciated! This was just a few days ago getting my stitches out. Good luck on the recovery man can't wait to see you back out there. Our family is praying for a quick , speedy and as painless recovery as possible. We will be looking for you on the gate Next year. You are very talented and deserve nothing but the best. Keep your head and attitude up and good things will soon come. The Morales Family. Hope to see you soon on the track..